Summer is definitely the season where you can go crazy with colors and patterns. 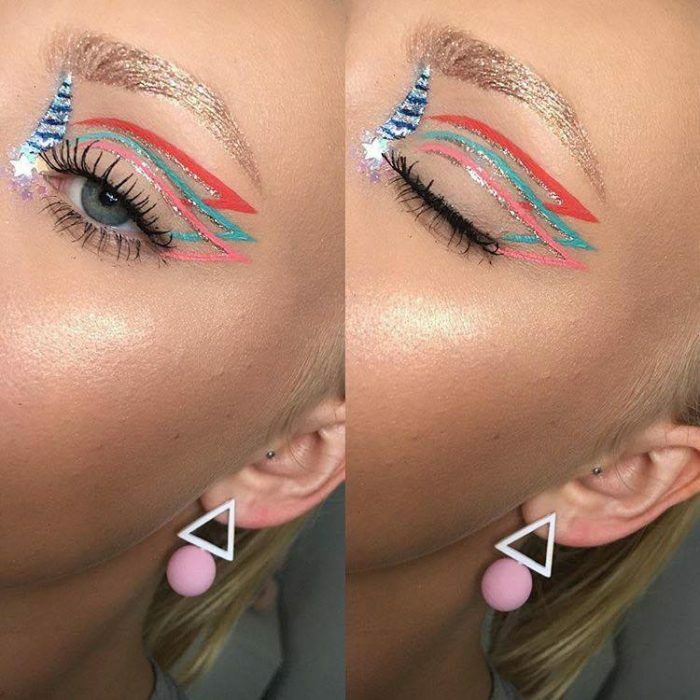 Another thing that you can add to your summer glam routine is the newest Instagram trend that features colorful wings as an upgrade to the classic cat-eye. If you have mastered your cat-eye, now you can upgrade your skills with this intricate winged eyeliner. 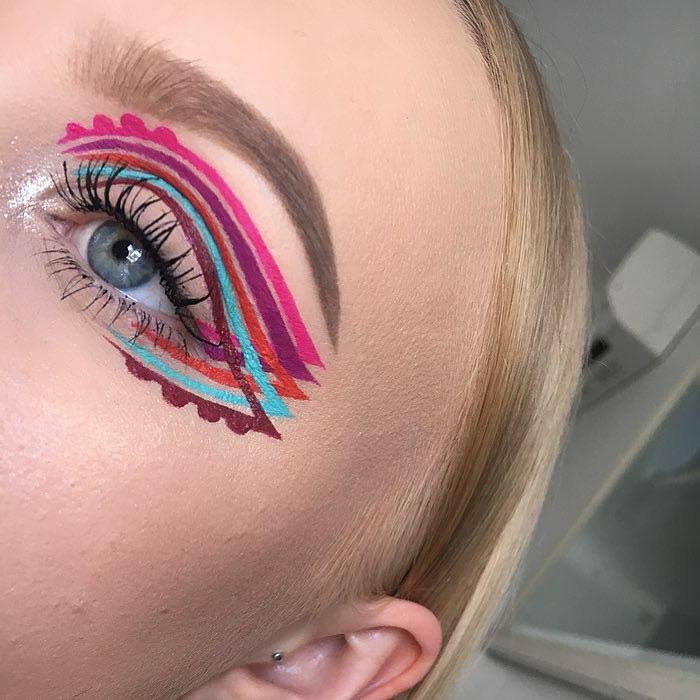 The young artist Nicole Tait from Australia will amaze you with her colorful graphic eyeliner. Nicole made this trend suitable for those on a budget as well. She uses predominantly liquid lipsticks and a precise eyeliner brush to create the intricate winged eyeliner. This means that you don’t have to spend tons of money on colored eyeliners that you won’t use much. Some of the liquid lipsticks that Nicole likes to use to create her colorful wings are from Anastasia Beverly Hills and Jeffree Star Cosmetics. Nicole explained that liquid lipsticks have larger color range than actual eyeliners and dry fast. 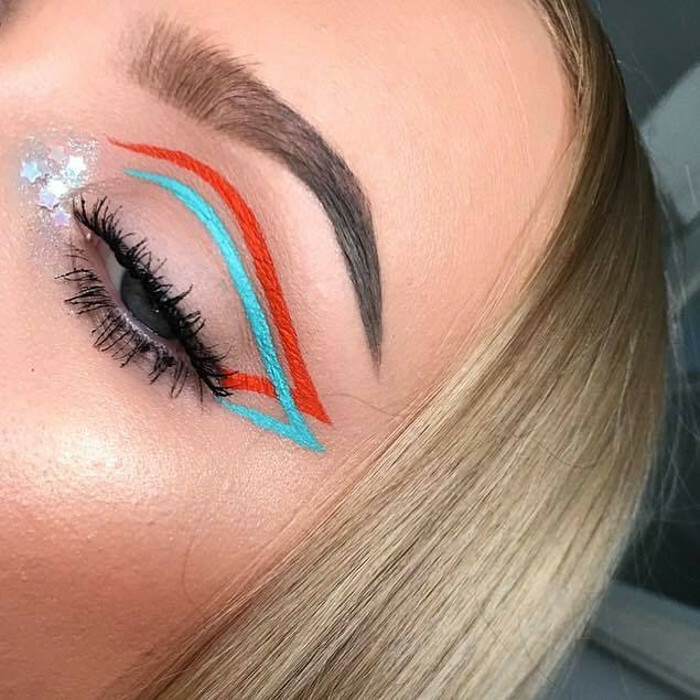 For her summer-ready graphic eyeliner looks she predominantly used coral and other vivid colors. Speaking of the brush, Nicole revealed that she uses the Anastasia Beverly Hills Swish Liner Brush. This brush is precise and helps Nicole to achieve perfectly clean lines. Additionally, the Australian makeup artist noted that patience is the key to creating the perfect graphic eyeliner. She advises that you should take your time and be patient when maneuvering with the brush. 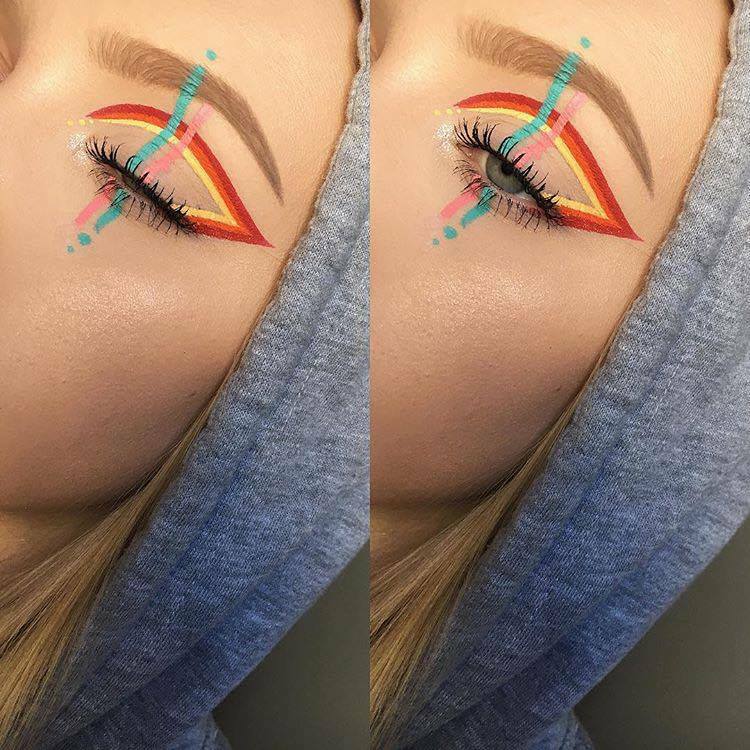 Nicole uses bright colors and precisely layers one wing over another in order to get the wow effect. Her most demanding look includes five wings on top of one another. Her wings interlock and create an illusion of sorts. Nicole explains that the	technique is not as hard as it seems. She starts with one liner and then follows its shape to add more wings. Her goal is to fit as many wings as possible. The young artist also explains that the number of wings that you can fit depends on your eye shape and how much lid space you have. Don’t get discouraged if you can’t fit 5 wings like she did because your eyes might be different than hers. On the other hand, people with larger lid area are free to get creative and add even more than 5 wings. 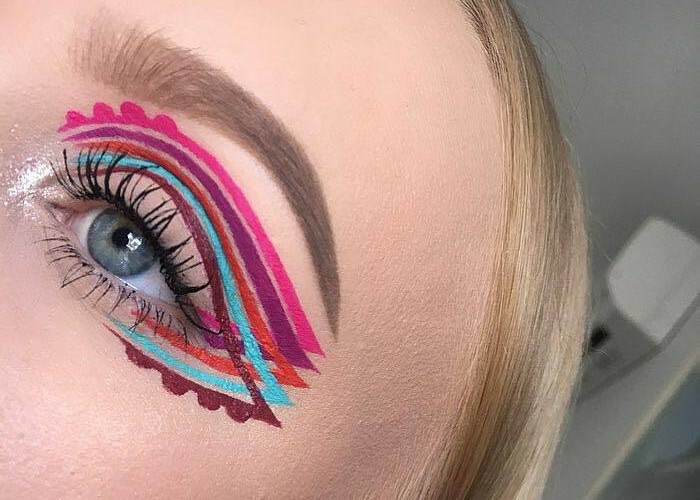 Apparently, those with hooded eyes won’t be able to try this trend.